For whom is this training section? This training section is tailored to sales, delivery and consultant managers and other people in roles working with sales, delivery and resourcing. Connecting skills with projects in selling phases and delivery. 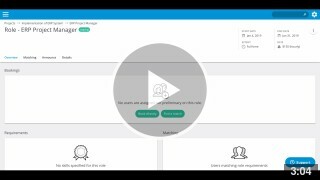 Match projects with people in your organisation or in your external network of subcontractors or partners and managing the resourcing & utilization. In essence, less admin, more sales and efficiency. 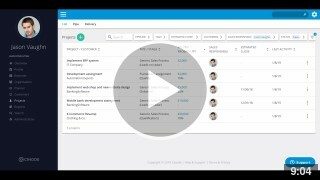 These video are divided into 3 sections and will show the functionality of our module "Talent Business" in the FAQ under Customers, Projects & Planner. Prioritize projects by analyzing metrics such as deal value, closing date and status. This is a video playlist comprised of several small video clips. You can always skip to the next clip or replay a clip.